SouthworldChurches May 2018Singapore. Towards a vibrant and missionary Church. 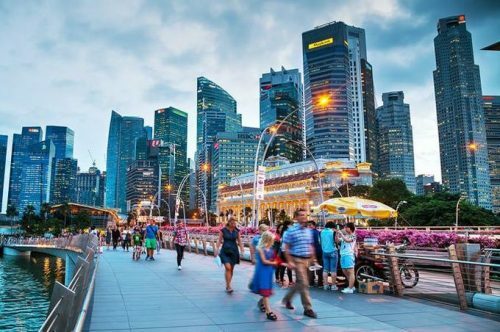 A City-State of South East Asia, Singapore is the fourth largest financial centre in the world with an important role in international trade and finance. Its port is one of the five busiest for operations and traffic on a world scale. It has a population of 5.3 million inhabitants of which 75% are of Chinese descent, with Malaysians (13,5%) and Indians (9%)”. Around 42% of the population are foreigners, living there to work or for studies. In the services sector, 50% of the workers are foreign. Singapore is the second most densely populated country in the world, second only to the Principality of Monaco. Most of the population of Singapore belongs to a religious faith. Buddhists and Taoists make up 43%. Numerically, Christians are the second largest group with around 383, 000 Catholics, or 9% of the population and Protestants 11%. Moslems and Hindus each amount to 14%. Since 2013, the Catholic Church has been led by sixty one year-old Archbishop Grace William Goh Seng Chye. In his view: “Today, it is in Asia that the main challenges to the Catholic Church are to be found. The Asian continent is different from all the others in that it is extremely varied as regards religions, cultures and economic situations”. In this context, Singapore is distinguished by being a reality in itself: “It is a very particular Asian country characterised by much economic and technological progress, similar perhaps to South Korea and Hong Kong. Singapore is a unique country, the expression of a highly educated cosmopolitan society. More than 40% of its inhabitants possess at least one university degree”, Archbishop Goh Seng Chye affirms. One of the characteristics typical of this wealthy City State is the relationship between institutions and religion. 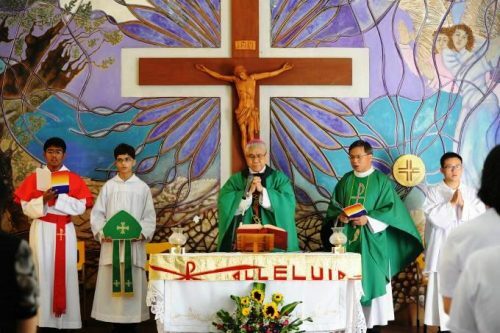 “Unlike nearby countries such as Malaysia – the Archbishop explains – Singapore has a secular government. Nevertheless, we may describe it as a ‘multicultural and multi–religious State’. The government is secular in order to maintain the unity of the nation, but many of the ministers and functionaries profess a faith. The State is not against but in favour of religion seen as a fundamental component in the development of the country. The government provides considerable support for all the religions without distinction”. Collaboration between State and religion is exemplified by the personal commitment of the Archbishop. “I was appointed Presidential Counsellor for Minority Rights and Religious harmony. Furthermore, thanks to the activities of the interethnic and interreligious government organs, there are many opportunities for dialogue between all the components of the cosmopolitan society of Singapore. Our ability to live together peacefully, especially when people are of different religions, is really a miracle. One of the many initiatives has been the formation of an NGO, the Inter-Religious Organisation (IRO), and, thanks to generous help from the government, this is a meaningful place for sharing different experiences of faith”, the Archbishop stated.He then continued: “Unlike what is happening in Thailand, Indonesia and Malaysia, in Singapore the religions neither possess nor seek political power and for this reason dialogue is easier and the common end is the good of the country”. 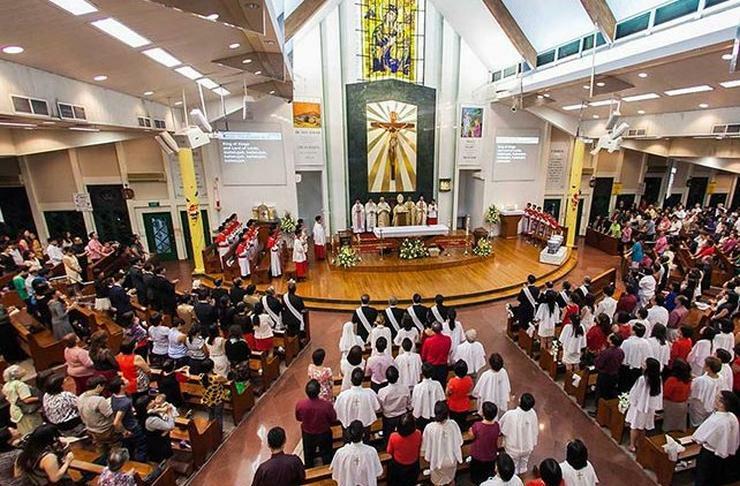 The Catholic Church in Singapore has 33 parishes served by 70 diocesan priests and 78 religious. The Archbishop of Singapore sees the social works as “the main missionary front for the local Church”. “We have many organisations that assist the needy such as Caritas Singapore which directs a further 25 associations. In Singapore, funds and donations collected through our initiative may not, by law, be used for projects abroad, unless this is made clear to the donors beforehand. In the case of humanitarian initiatives beyond the national borders (Cambodia, Vietnam, The Philippines, Myanmar), the Archdiocese set up Caritas Humanitarian Aid & Relief Initiatives (CHARIS). 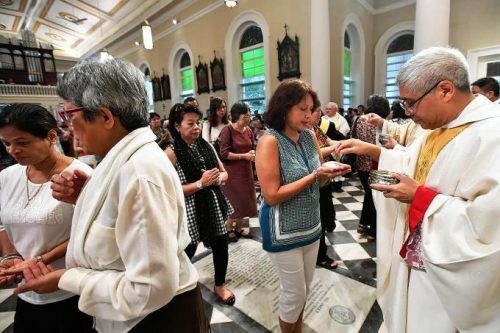 The faithful are very much involved and provide much support, so giving witness to their faith among the least important”, Archbishop Goh affirms. The Archdiocese gives particular attention to the education of the youth. In this regard, His Grace declares: “In each of the more than 35 Catholic schools we form the hearts of the children first, before their minds. We do not want leaders who live for themselves but people concerned for their neighbour. This is an aspect in which the Christian schools, both Catholic and Protestant have worked very hard and it is a precious heritage for the governing classes of the country. If today Singapore is a successful nation, this is also due to the fact that most of the government have frequented mission schools, even if many of them are not Christian. 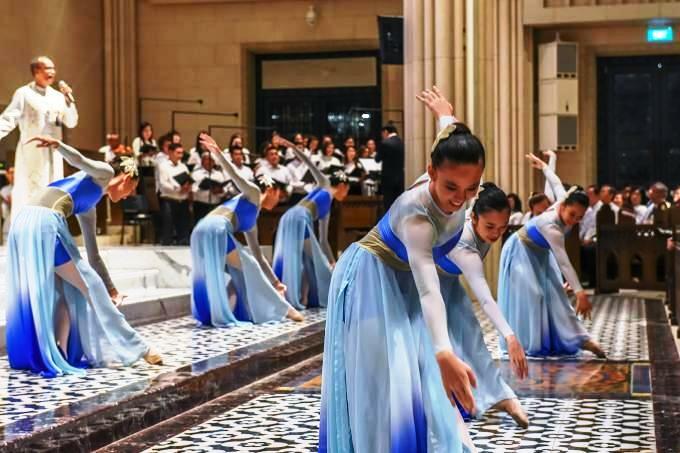 It is also due to the teaching of Gospel values that Singapore dedicates much attention in promoting life and the family.